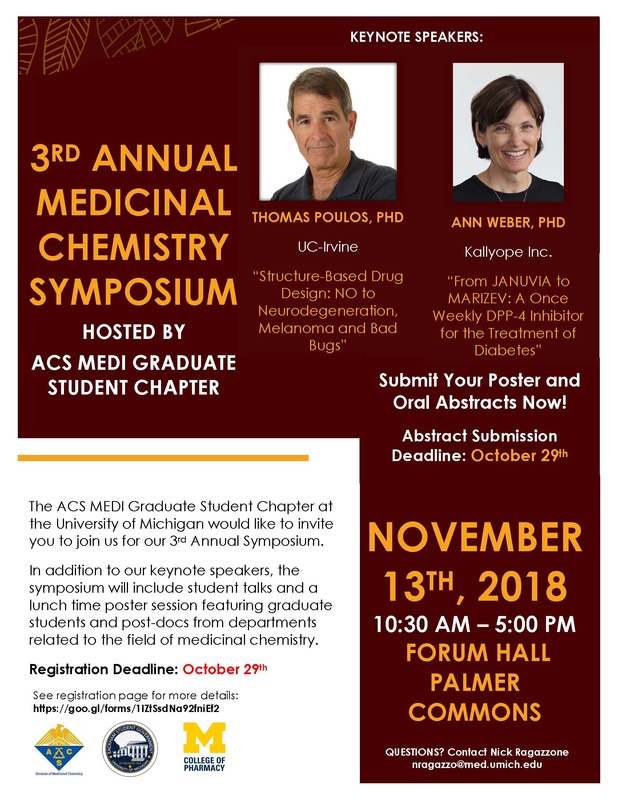 The American Chemical Society Division of Medicinal Chemistry (ACS MEDI) graduate student chapter at the University of Michigan is hosting the 3rd Annual Medicinal Chemistry Symposium on Tuesday, November 13. It will be held on the fourth floor of Palmer Commons, opening remarks will begin at 10:45 AM. 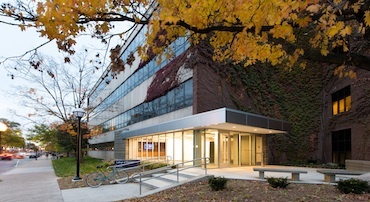 The symposium is open to all University of Michigan faculty, staff, post-docs, graduate students, and undergraduates. The keynote speakers are Dr. Craig Lindsley from Vanderbilt University and Dr. Ann Weber from the Kallyope Inc. The keynote speakers will present at 10:50 AM and 2:15 PM, respectively. The symposium will also feature graduate student and post-doc oral presentations, as well as a combination luncheon/poster session in which graduate students from multiple U-M departments are encouraged to present their research. For more information and the full schedule of events, visit the ACS MEDI graduate student chapter's webpage. Preregistration is encouraged, please register by October 26.